Help Customised Wear It Pink and raise money for Breast Cancer Now. We’ll be turning the Customised Home Tech Experience Centre PINK on Friday 19th October. 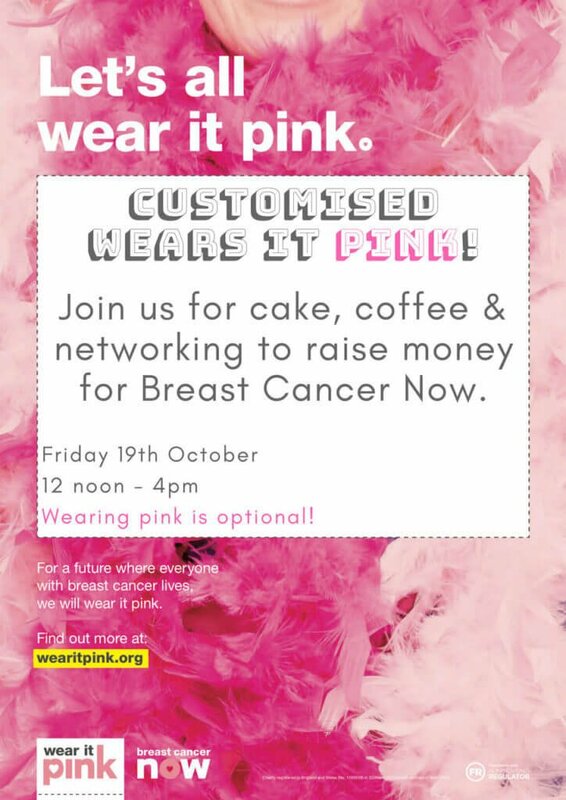 Join us for a cuppa and cake (pink, obviously) or get comfy and stay all afternoon to enjoy our home cinema. Network with friends, meet new ones and help us raise money to fund life-saving research. Don’t forget to wear Pink! Let’s do our bit to help beat breast cancer! Royal Norfolk Show – Exhibit in Style!